Jim Zhang of the U.S. Soybean Export Council, holds a handful of fish feed at an aquaculture facility on the outskirts of Shanghai, China in April, 2016. 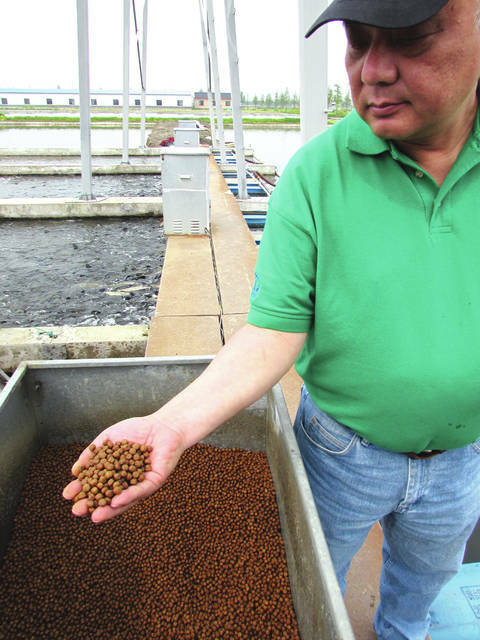 Rural Life Today editor Gary Brock toured the Chinese fish farm facility to see where much of Ohio’s soybeans go when exported to China. The fish feed is made of about 50 percent soy meal. 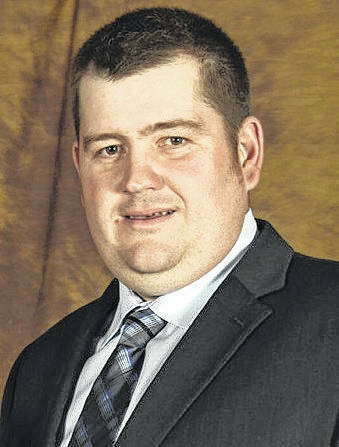 COLUMBUS — Ohio farmers and soybean producers should be very worried about the possible trade war with China, in addition to the ongoing concerns about trade with the NAFTA renegotiations, according to Dr. Ian Sheldon, Ohio State Professor and Andersons Chair of Agricultural Marketing, Trade and Policy. Beijing had previously indicated it will take action against the soybean and corn industries in retaliation for any U.S. tariffs on China. China is the biggest buyer of U.S. soybeans, taking $14.6 billion worth in the last marketing year — more than a third of the entire crop.China is also the American farmer’s biggest customer, followed by Canada and Mexico in U.S. agriculture exports. WTO is the organization designed to regulate trade. Dr. Sheldon posed the question: why we are undermining the very institution mechanism that is made to deal with these issues? Sheldon said that if the true concern is the claim that China is stealing U.S. intellectual property, then the U.S. should file a proper dispute through the WTO. “The U.S. should go through the proper international process before taking unilateral action to China,” Dr. Sheldon said.